It's almost time! The Grand Marching Mustang Pride has been working on their show for the last three weeks and will debut their hard work at the Grand Valley Band Night a week from today! 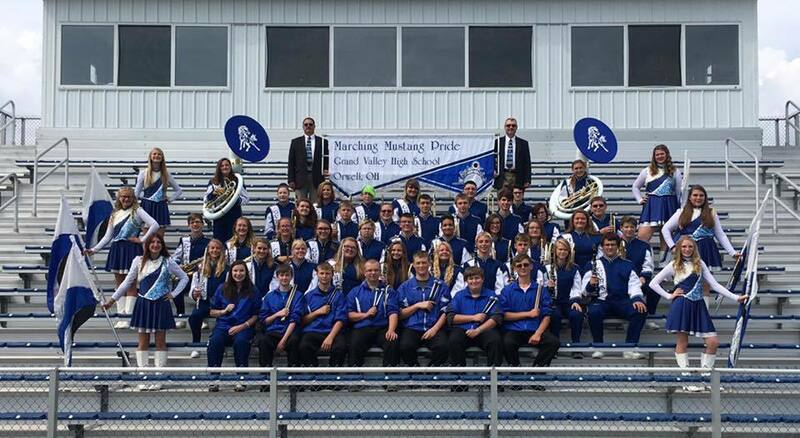 GV will host local bands on Thursday, August 17, 2017 to perform their shows beginning at 7:00 pm in the Grand Valley Stadium. Cost is $6 for adults, $4 for students and senior citizens are free. Come join us for a great night of entertainment!